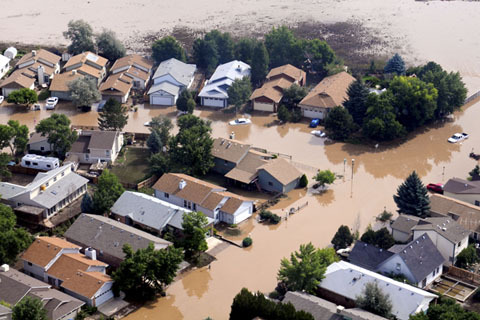 National Flood Awareness week is a nationwide campaign each March designed to highlight some of the many ways floods can occur, the hazards associated with floods, and what you can do to save life and property. But keep in mind floods can happen anytime and anyplace. 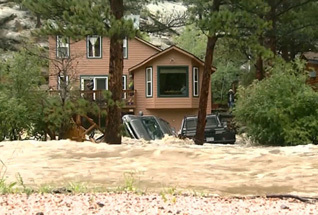 Some floods develop over a period of several days, but a flash flood can cause raging waters in just a few minutes. Mudflows are another danger triggered by flooding. Mudflows are rivers of rock, earth, and other debris soaked with water mostly caused by melting snow or heavy rains that creates a slurry. A slurry can travel several miles from its source and grows in size as it picks up trees, cars, and other things along the way. floods are the most common natural disaster … and flood damage is the second most common disaster-related expense of insured losses reported worldwide? 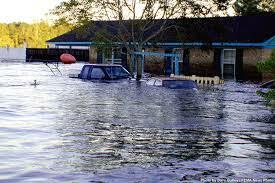 …all Americans live in a flood zone – it’s just a question of whether you live in a low, moderate or high risk area? 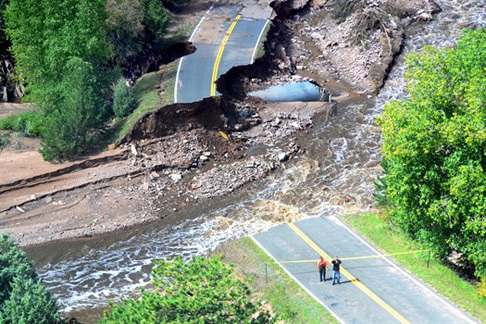 nearly half of all flash flood fatalities are vehicle-related? Speaking of vehicles, a major NOAA National Weather Service campaign all states have been promoting for years is “Turn Around…Don’t Drown” or TADD. In fact, several states are cracking down on people who drive around barricades into flooded areas who then become stranded. For example, since 1995 Arizona has had a “Stupid Motorist Law” meaning any motorist who becomes stranded after driving around barricades to enter a flooded stretch of roadway can be charged for the cost of his/her rescue. And if public emergency services are called to rescue the motorist and tow the vehicle out of danger, the cost of those services can be billed to the motorist, up to a maximum of $2,000. Both Pennsylvania and Tennessee have similar laws where motorists who drive around a barricade or flood warning sign and get stranded will face fines and possible restitution for the cost associated with any rescue efforts. It’s a shame we even need statutes and laws such as these and would be nice if people would obey signs and barricades and not put themselves, their passengers and first responders in danger due to their actions. 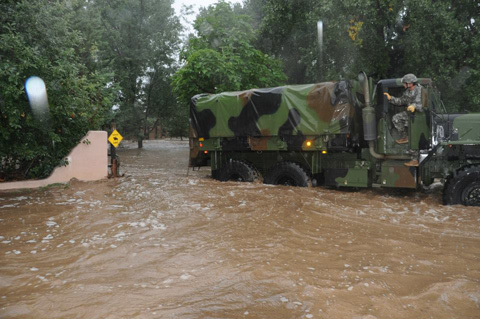 But people think their vehicle will keep them safe or they underestimate the power of water. Before you try to drive through a flooded area, remember it only takes 18 to 24 inches (45 to 60 cm) of water to lift your car or SUV. Once your vehicle becomes buoyant; the water will easily push it sideways. Most vehicles will then tend to roll over, trapping those inside and washing them downstream. And flooded roads may have hidden dangers, such as washed out roadbeds or underwater obstructions. Find your flood map – To identify a community’s flood risk, FEMA conducts a Flood Insurance Study. The study includes statistical data for river flow, storm tides, hydrologic/hydraulic analyses, and rainfall and topographic surveys. FEMA uses this data to create the flood hazard maps that outline your community’s different flood risk areas. Visit www.floodsmart.gov to find your local flood map. Get flood insurance – Regular insurance companies will cover some claims due to water damage like a broken water main or a washing machine that goes berserk. However, standard home insurance policies DO NOT generally cover flood (or mud) damage caused by natural events or disasters! The U.S. offers a National Flood Insurance Program available in most communities and there is a waiting period for coverage. Both homeowners and renters can get flood insurance as long as your community participates in the NFIP. you do not have to “own” a home to have flood insurance as long as your community participates in the NFIP? if you live in a moderate-to-low risk area and are eligible for NFIP’s Preferred Risk Policy, your flood insurance premium may be as low as $129 a year, including coverage for your property’s contents?! Get weather radios – NOAA Weather Radio or Environment Canada Weatheradio with battery backup and tone-alert feature can alert you when Watches or Warnings have been issued. Move valuables to higher ground – If your home or business is prone to flooding, you should move valuables and appliances out of the basement or ground level floors. Elevate breakers, fuse box and meters – Consider phoning a professional to elevate the main breaker or fuse box and utility meters above the anticipated flood level so flood waters won’t damage your utilities. Also consider putting heating, ventilation and air conditioning units in the upper story or attic to protect from flooding. Protect your property – Build barriers and landscape around homes or buildings to stop or reduce floodwaters and mud from entering. Also consider sealing basement walls with waterproofing compounds and installing “check valves” in sewer traps to prevent flood water from backing up into drains. Learn risks – Ask your local emergency management office if your property is a flood-prone or high-risk area and what you can do to reduce risks to your property and home. Find out what official flood warning signals are and what to do when you hear them. Ask if there are dams or levees nearby and if they could be hazards. Make a plan – Develop a Family Emergency Plan (e.g. map out evacuation routes, decide where you and your family will meet if separated, teach family members how to shut off main utility switches, discuss what to do with pets and critters, etc). And assemble Disaster Supplies Kits in case you have to bail. Stay safe – Floodwaters may be contaminated by oil, gasoline or raw sewage or may be electrically charged from underground or downed power lines. 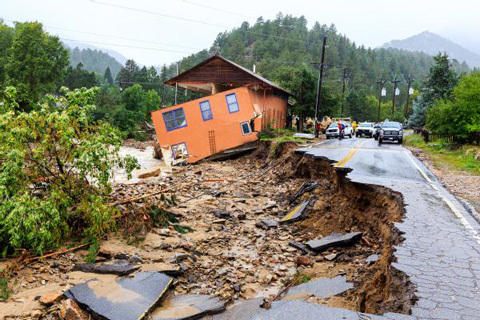 Other disasters – Be aware flooding can also cause landslides and mudflows. Listen for trees cracking, rocks banging together or water flowing rapidly (esp. 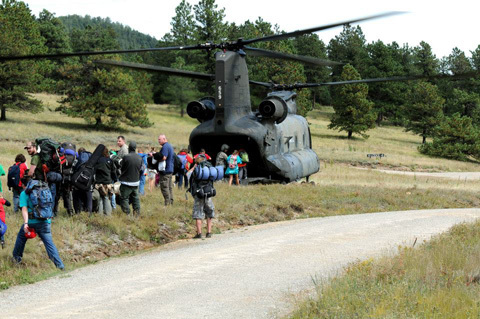 if near a stream or river) – debris flow may be close by. In addition to the below resources, consider learning more about Fedhealth’s customizable disaster preparedness and first aid manual for your public outreach efforts. Our IT’S A DISASTER! book qualifies as community education on grants and provides about a $3 or $4-to-$1 return on match since we discount it up to 70% off list (or as low as $4.50 U.S. each) and customize it for free.